This sculpture is made to be interactive with the viewer. The Blessed Mother, a young Mary, is extending her hand to the viewer for whatever God intends for that specific viewer. 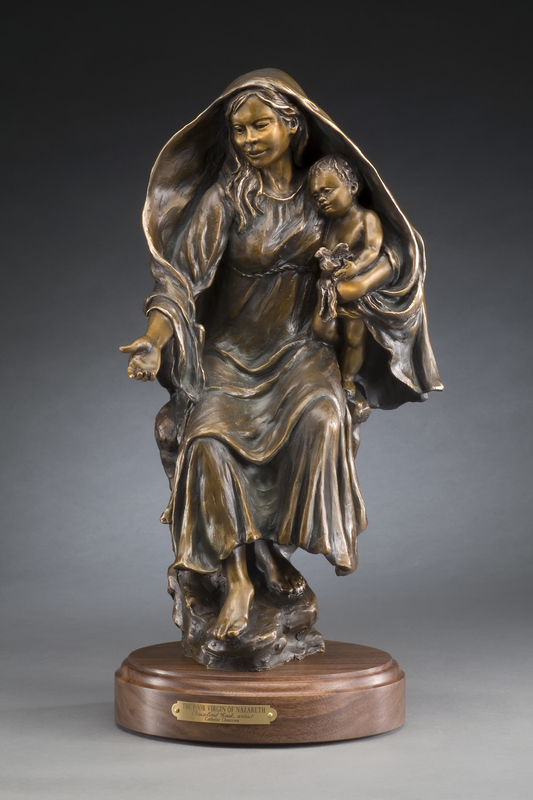 Her other arm is around a standing Christ child who is also looking at the viewer and holds in His hand, the dove of the Holy Spirit which He symbolically gives. The drape is a blessed covering and protection over both figures and ties them together. Her foot extends over the base to let the viewer know that there is no barrier between the Madonna and the viewer. This sculpture is available in an 8 foot size.